A new report released Thursday by the CDC reveals that the age-adjusted suicide rate increased 33 percent from 1999 to 2017. 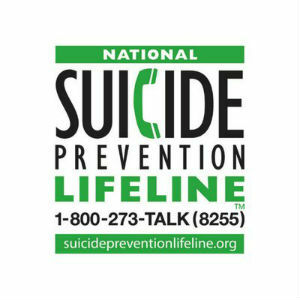 According to the CDC report, the age-adjusted suicide rate in 1999 was 10.5 per 100,000. In 2017, it had risen to 14.0 per 100,000. The national goal, under the Healthy People 2020 initiative, has been to reduce the rate to 10.2 per 100,000 by 2020, though clearly things are moving very much in the wrong direction in that sense. The trend is disturbing: the suicide rate grew 1 percent per year between 1999 and 2006, then accelerated to 2 percent annual growth between 2006 and 2017. And the increase is being seen across the age and demographic spectrums. Rates have increased in each age subgroup among males and females between the ages of 10 and 74. Most alarming is that suicide rate in the most rural counties in the U.S. is now 1.8 times the rate in the most urban counties: with the rate in most rural counties at 20.0 per 100,000, and in the most urban at 11.1 per 100,000. More grim news: since 2008, suicide has ranked as the 10th leading cause of death for all ages in the United States, and in 2016, suicide became the second leading cause of death for ages 10–34 and the fourth leading cause for ages 35–54. “The latest CDC data show that the U.S. life expectancy has declined over the past few years,” said CDC Director Robert R. Redfield, M.D. “Tragically, this troubling trend is largely driven by deaths from drug overdose and suicide. Life expectancy gives us a snapshot of the Nation’s overall health and these sobering statistics are a wakeup call that we are losing too many Americans, too early and too often, to conditions that are preventable. “CDC is committed to putting science into action to protect U.S. health, but we must all work together to reverse this trend and help ensure that all Americans live longer and healthier lives,” Redfield said. Suicide rates for females were highest for those aged 45–64 in both 1999 (6.0 per 100,000) and 2017 (9.7). Suicide rates for males were highest for those aged 75 and over in both 1999 (42.4 per 100,000) and 2017 (39.7). “People shouldn’t be afraid to disclose their mental-health conditions to their family or workplace. As a culture, we need to be more understanding of this condition,” said Graham, the former Virginia Area Director for the American Foundation for Suicide Prevention. “Like a heart attack, a person in suicidal crisis is having an attack of the brain and immediate treatment is needed,” said Graham, who lost her identical twin sister, Christina, to suicide in 1992. Graham said a key to the effort to reduce suicide is removing negative stereotypes to seeking mental-health treatment. “If we can remove those artificial barriers, people would likely seek help more often, and with proper treatment, we could start to see a decrease in suicide rates,” Graham said. The CDC report is a sobering reality check for those working to reduce deaths by suicide.